Perhaps the most common complain we see here at Vancouver Orthotics; Plantar Fasciitis can be a chronic painful inflammatory condition caused by excessive strain to the "plantar fascia" (bottom fibrous tissue) of the foot. This pain may be felt in the heel or the arch itself. Typically the patient experiences immediate morning pain right out of bed, consistent pain throughout the day, or pain at the end of the night after a full day at work or on your feet. The plantar fascia is a thick fibrous band of connective tissue originating on the bottom surface of the calcaneus (heel bone) and extending along the sole of the foot towards the five toes. The cause of plantar fasciitis can be from a specific trauma to the foot or from chronic repetitive strain often associated with the flat overly pronated foot. Pain is usually felt on the underside of the heel, inside more often than outside of the arch, and is often most intense with the first steps of the day. It is commonly associated with long periods of weight bearing. Plantar fasciitis can be successfully treatment with the support of custom orthotic inserts. What is the most effective plantar fasciitis treatment? 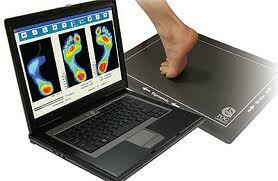 What plantar fasciitis exercises & stretches do you recommend? What symptoms are most commonly affiliated to plantar fasciitis? What exactly is the plantar fascia & what shoes are best for plantar fasciitis? Where can I get a plantar fasciitis night splint? Why is "planters fasciitis" or plantar fasciitis pain so chronic? Have questions about Plantar Fasciitis? Ask Dr. Michael Horowitz by calling 604-737-3668 or by filling out the form below.